Safely and easily mark closed runways, taxiways, and airfield hazards with Carmanah's FAA-compliant, low-profile safety barricade lights. Our portable mat design brings true flexibility to your airfield and keeps hazard marking simple and quick. Carmanah barricade marking lighting solutions come with durable, environmentally-friendly rubber matting that is strong enough to withstand most prop wash, jet blast, and other wind currents while supporting virtually any layout even on rugged terrain. 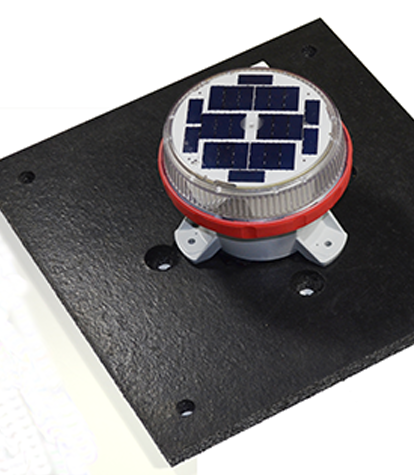 Carmanah barricade markers use a combination of 16" x16" rubber matting with any 600 or 700 series solar light. Fence mounting options also available. Light selection will depend on the location of installation, and your requirements for light intensity and degree of autonomy.